2019 Ryan Newman #6 Performance Plus / Ford Mustang NASCAR 1/24 diecast, by Action Lionel. The Roush Fenway Racing #6 Performance Plus Ford Mustang will be raced by Ryan Newman in select events during the 2019 Monster Energy NASCAR Cup season. 2019 Ryan Newman #6 Performance Plus / Ford Mustang NASCAR 1/64 diecast, by Action Lionel. 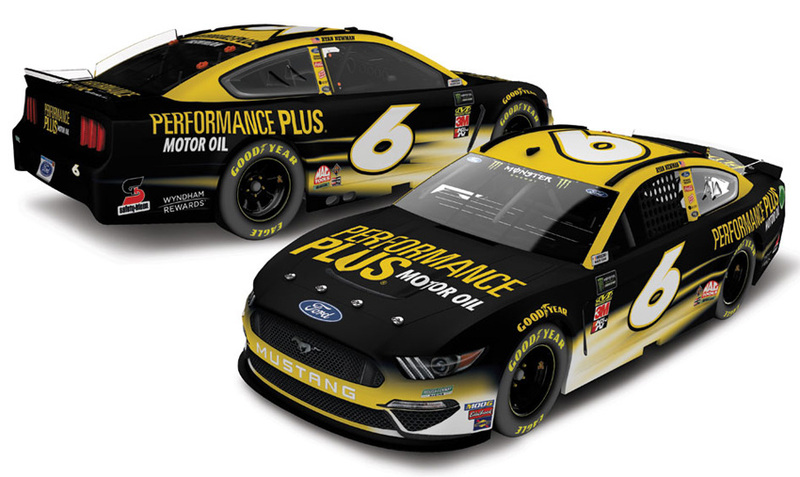 The Roush Fenway Racing #6 Performance Plus Ford Mustang will be raced by Ryan Newman in select events during the 2019 Monster Energy NASCAR Cup season. This diecast car will not have the Monster Energy decal on the windshield. 2019 Ryan Newman #6 Wyndham Rewards / Ford Mustang NASCAR 1/24 diecast, by Action Lionel. The Roush Fenway Racing #6 Wyndham Rewards Ford Mustang will be raced by Ryan Newman in select events during the 2019 Monster Energy NASCAR Cup season. 2019 Ryan Newman #6 Wyndham Rewards / Ford Mustang NASCAR 1/64 diecast, by Action Lionel. 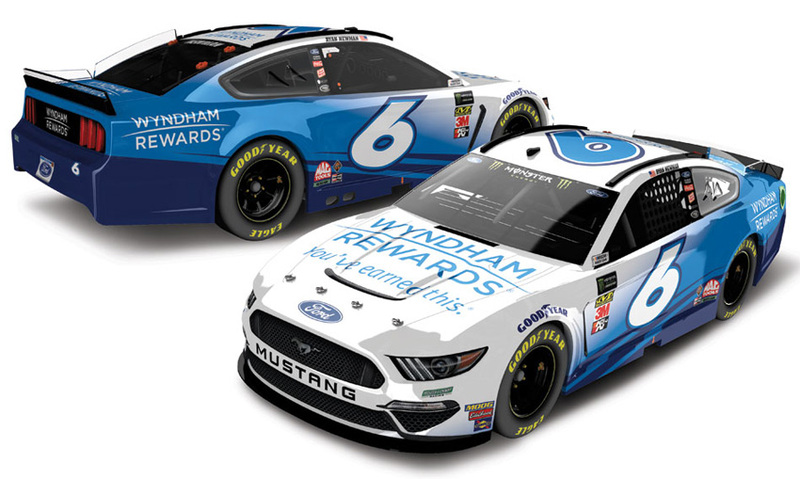 The Roush Fenway Racing #6 Wyndham Rewards Ford Mustang will be raced by Ryan Newman in select events during the 2019 Monster Energy NASCAR Cup season. This diecast car will not have the Monster Energy decal on the windshield. 2019 Ryan Newman #6 Acorns / Ford Mustang NASCAR 1/24 diecast, by Action Lionel. The Roush Fenway Racing #6 Acorns Ford Mustang will be raced by Ryan Newman in select events during the 2019 Monster Energy NASCAR Cup season. 2019 Ryan Newman #6 Acorns / Ford Mustang NASCAR 1/64 diecast, by Action Lionel. 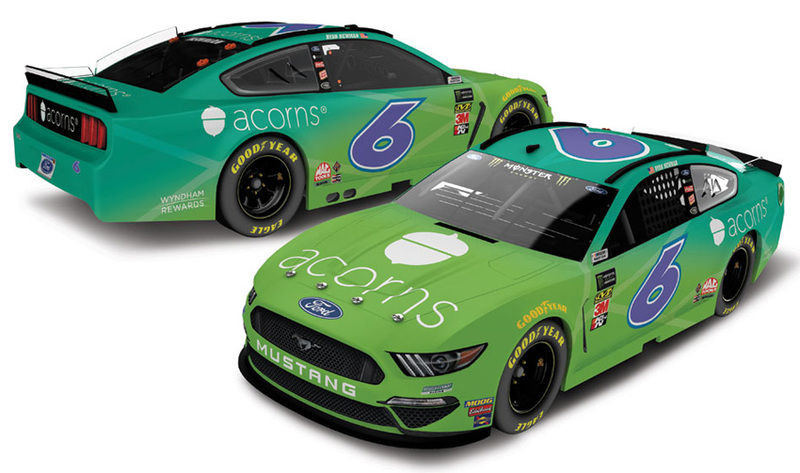 The Roush Fenway Racing #6 Acorns Ford Mustang will be raced by Ryan Newman in select events during the 2019 Monster Energy NASCAR Cup season. This diecast car will not have the Monster Energy decal on the windshield. 2019 Ryan Newman #6 Oscar Mayer / Ford Mustang NASCAR 1/24 diecast, by Action Lionel. The Roush Fenway Racing #6 Oscar Mayer Ford Mustang will be raced by Ryan Newman during the 2019 Monster Energy NASCAR Cup season. 2019 Ryan Newman #6 Oscar Mayer / Ford Mustang NASCAR 1/64 diecast, by Action Lionel. 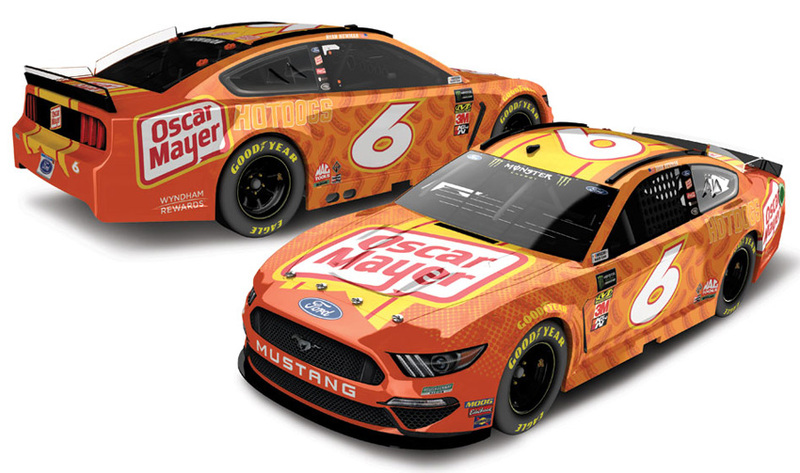 The Roush Fenway Racing #6 Oscar Mayer Ford Mustang will be raced by Ryan Newman during the 2019 Monster Energy NASCAR Cup season. This diecast car will not have the Monster Energy decal on the windshield. 2018 Ryan Newman #31 Caterpillar / Chevrolet Camaro ZL1 NASCAR 1/64 diecast, by Action. 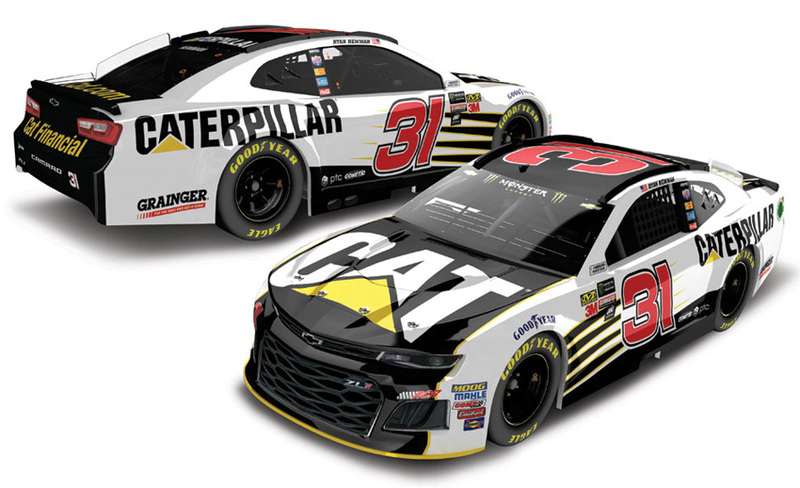 The Richard Childress Racing #31 Caterpillar Chevrolet Camaro ZL1 was raced by Ryan Newman during the 2018 Monster Energy NASCAR Cup season. This diecast car will not have the Monster Energy decal on the windshield. 2018 Ryan Newman #31 Grainger / Chevrolet Camaro ZL1 NASCAR diecast, by Action. 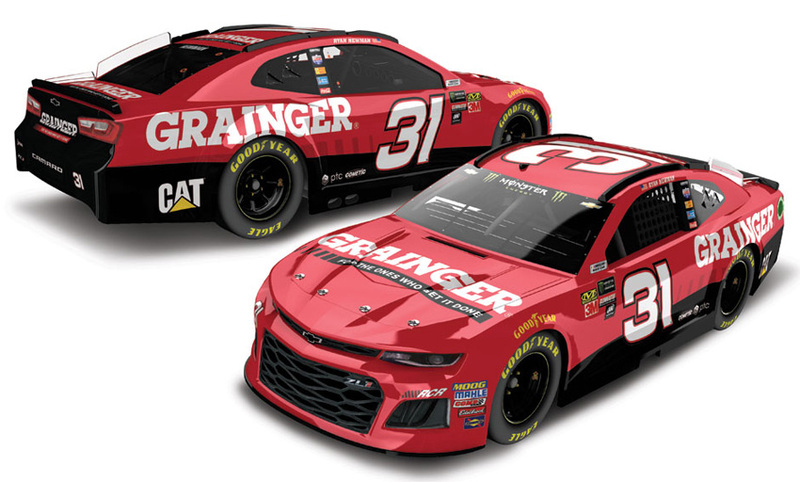 The Richard Childress Racing #31 Grainger Chevrolet Camaro ZL1 was raced by Ryan Newman in select events during the 2018 Monster Energy NASCAR Cup season. This diecast car will not have the Monster Energy decal on the windshield. 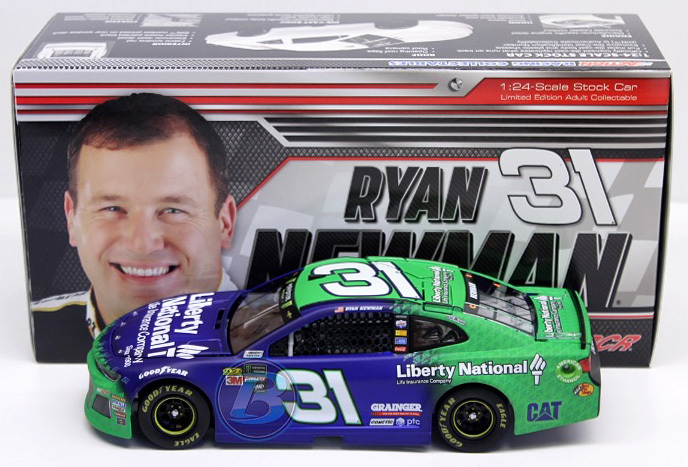 2018 Ryan Newman #31 Liberty National / Chevrolet Camaro ZL1 NASCAR diecast, by Action. 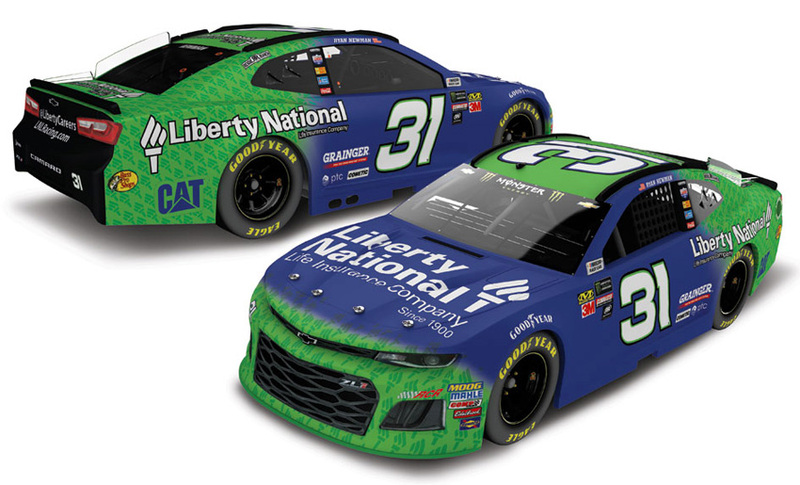 The Richard Childress Racing #31 Liberty National Chevrolet Camaro ZL1 was raced by Ryan Newman in select events during the 2018 Monster Energy NASCAR Cup season. This diecast car will not have the Monster Energy decal on the windshield. 2018 Ryan Newman #31 Bass Pro Shops / Cabela's / Chevrolet Camaro ZL1 NASCAR diecast, by Action. The Richard Childress Racing #31 Bass Pro Shops Cabela's Chevrolet Camaro ZL1 was raced by Ryan Newman in the Monster Energy NASCAR Cup, Daytona 500 at Daytona International Speedway on February 18, 2018. This diecast car will not have the Monster Energy decal on the windshield. 2017 Ryan Newman #31 Caterpillar / Chevrolet SS NASCAR diecast, by Action. 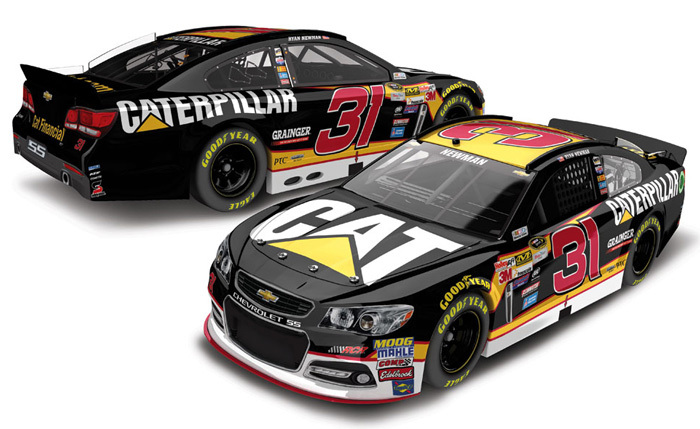 The Richard Childress Racing #31 Caterpillar Chevrolet SS was raced by Ryan Newman during the 2017 Monster Energy NASCAR Cup season. 2017 Ryan Newman #31 Grainger / Chevrolet SS NASCAR diecast, by Action. 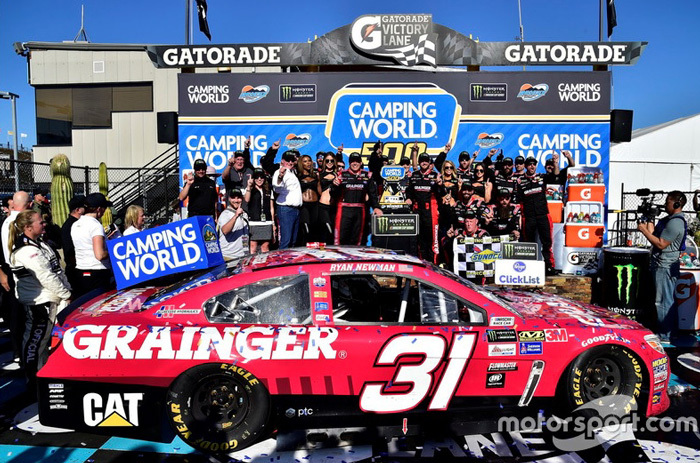 The Richard Childress Racing #31 Grainger Chevrolet SS was raced by Ryan Newman in select events during the 2017 Monster Energy NASCAR Cup season. 2017 Ryan Newman #31 Caterpillar / Darlington / Chevrolet SS NASCAR diecast, by Action. The Richard Childress Racing #31 Caterpillar Darlington Chevrolet SS was raced by Ryan Newman in the Monster Energy NASCAR Cup, Bojangles' Southern 500 at Darlington Raceway on September 3, 2017. This paint scheme will honor the 30th anniversary of Dale Earnhardt's Southern 500 Win. This diecast car will not have the Monster Energy decal on the windshield. 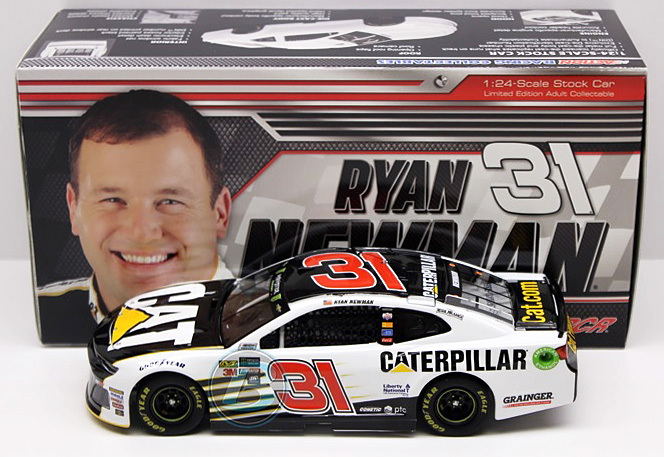 2016 Ryan Newman #31 Caterpillar / Chevrolet SS NASCAR diecast, by Action. 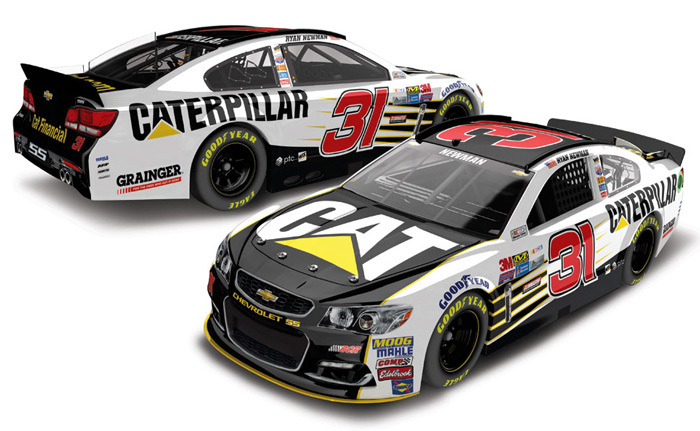 The Richard Childress Racing #31 Caterpillar Chevrolet SS was raced by Ryan Newman during the 2016 NASCAR Sprint Cup season. 2016 Ryan Newman #31 Grainger / Chevrolet SS NASCAR diecast, by Action. 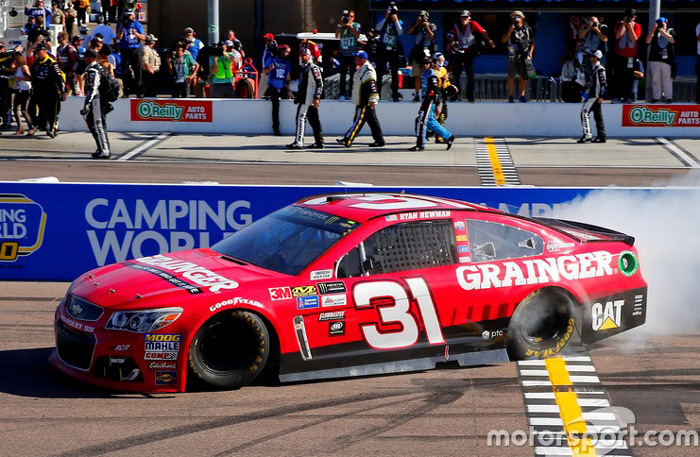 The Richard Childress Racing #31 Grainger Chevrolet SS was raced by Ryan Newman in select events during the 2016 NASCAR Sprint Cup season. 2016 Ryan Newman #31 WIX Filters / Chevrolet SS NASCAR diecast, by Action. The Richard Childress Racing #31 WIX Filters Chevrolet SS was raced by Ryan Newman in 3 events during the 2016 NASCAR Sprint Cup season.